This is not a paid review. I was not given the Sigma 10-20mm f/4.0-5.6 lens. I was not paid to review it. In fact, Sigma has no affiliation of this product review what so ever. Why the Sigma 10-20mm f/4.0-5.6? Of course, when choosing a lens, you don’t just wander in and buy, there are always options. In this case, the other options where Canon, Tokina and the faster Sigma. In the end, I went with the Sigma 10-20mm f/4.0-5.6 for a couple reasons. For one, and maybe most importantly to a poor travel photographer like myself, it’s much cheaper. It’s a couple hundred dollars cheaper than the competitors. Thus, I have to decide on whether the value of the more expensive lens is relative to the price. For me it isn’t. Generally speaking, I’m going to be shooting a super wide lens on a tripod anyways. Moreover, I’m not sure I see a situation where I’d really want to be shooting a super wide at say f/2.8. After a month or so of use, I know that was this was the right choice. If the faster lenses produces extremely better quality shots on a tripod, I’d be surprised. With a super wide, I believe that the speed is less of a factor. For me, it just wasn’t worth the extra couple hundred bucks that I could be spending on Ben & Jerry’s ice cream. Now, for my review I didn’t do the typical type testing. Most of the time when a lens review is done they set the equipment up and shoot in good conditions and decide how it shoots in a controlled environment. As a travel photographer, I wanted to see how it shoots in the field, and in poor conditions. Thus, I took a walk around Manhattan, where the sky was overcast and dull, and I shot everything hand held. Here are a couple sharpness examples. As you can see from the original image, the general sharpness is good. I shot this image at f/6.3 and 1/160 seconds. It should be fairly sharp at that speed and aperture. But, as is often the case you usually have to dig a bit deeper to see what the sharpness is really like. Let’s have a look at a 100% crop from the image. As you can see from the crop there is still really good sharpness in the center of the image. In fact, I’d argue that the image is tack sharp. However, one of the biggest criticisms of the lens, well of any super wide lens for that matter, is that the sharpness wanes closer to the edges of the shot. Again, after a month shooting this lens I’ll tell you that’s not exactly the case. Sure, you get massive distortion in the corners, but sharpness hasn’t been a factor. I shot this image at 10mm, as wide as it will go, and this is the corner of the photo at 100% crop. As you can see from the photo, the edge is still sharp. It might not be as sharp as the center, but that’s still pretty damn good. You do notice a touch of chromatic aberration in that crop, though very minor. We’ll get to that. This was likely my biggest concern when buying this lens. I had a couple issue with chromatic aberration on my last sigma wide angle lens, the 18-50mm. Thus, when I tested this lens I did so in a spot where you’d expect to pick up a lot of CA, even shooting the best quality lenses. The colourful setting of downtown Manhattan along with the overcast sky and harsh midday sun should have led to lots of issues of CA. However, apart from some very very minor issues, I saw hardly any. In fact, when I was editing my images I found myself saying, “there should be some CA there I’ll hve to clean up,” and there wasn’t. If you’re worried about CA using the Sigma 10-20mm f/4.0-5.6, don’t be. In a month shooting, it hasn’t come up as an issue even once. The focus rings are good, but it still bugs me that you zoom backwards on a sigma lens. It makes it confusing switching back and forth between canon and sigma lenses. The functionality of it is fine though. The zoom ring is smooth yet sturdy enough that you don’t spin the ring too quickly. The focus ring is also good, but might actually spin too easily. With a focus ring, if it spins too much you might accidentally bump it and move it. I would like it to be tighter, or have some sort of focus lock. You can override the auto focus with the manual focus, which is very handy. If there is one minor issue it’s that it seems to focus to infinity after the marker that points out infinity on the lens. Thus, you have to be careful in checking a test shot when doing things like star photography in the dark. When it comes to weight and size of the lens, I don’t have any problems either. It feels comfortable in my hands, and although heavier than I expected, it is weighted nicely. The sigma 10-20mm f/4.0-5.6 uses a 77mm filter which is obviously more expensive than I’d like to be paying for filters, but at least when I put the filters on I don’t get weird vignetting from the edges of the filters showing. Though I went back and forth between buying this lens, I’m glad I did. If I ever lose or break this lens, I’m sure that I’ll just go and pick up another. It really is a fun lens to use. In fact, since buying the lens, it’s been a little bit hard convincing me to take it off my camera body. I want to shoot everything super wide now. As for the concerns people have about the ugly distortions and lack of sharpness at the edges, yes you do have to make some adjustments using this lens, but once you do you’ll have fun shooting angles of things you’ve always dreamed of. At 10mm this lens is almost the normal vision of a person’s eyesight. Thus, when seeing a world and shooting it there is very much a real connection. 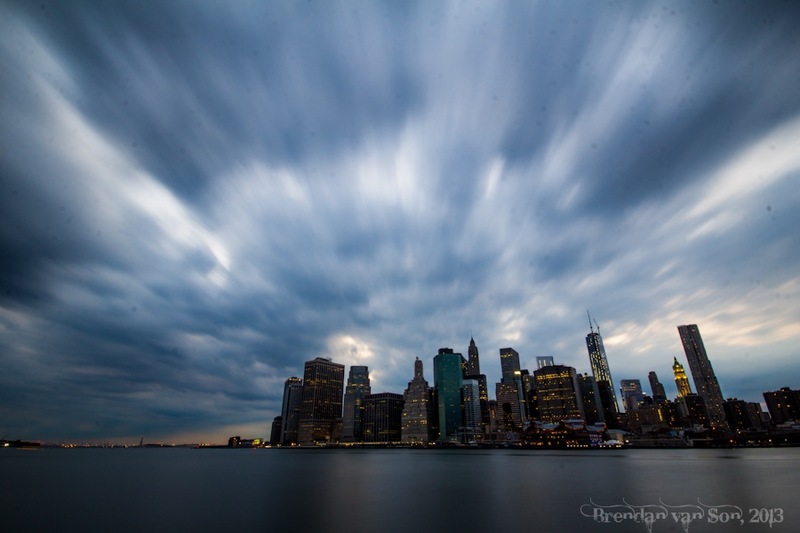 I’m going to leave you off with some photos shot on the Sigma 10-20mm f/4.0-5.6 lens from New York. All these photos were taken in one day and very minimal editing has been done to them. Also, if you see spots on the images (and you will) it’s not the lens but the fact that my camera sensor was incredibly dirty after returning from Africa. Enjoy the photos, and if you have any questions, or want to talk about your own experience with the lens, discuss below in the comments. Great review and makes me wonder if I should buy one…although I like to use my camera more for birds and animals. Actually, wide angle is kind of sun with wildlife if you can get close enough to it. I got some really cool shots of elephants and a sparrow in Namibia at 18mm. But, yeah… if you’re only shooting wildlife, it’s hard to justify going wide! i’ve this lens used on my Nikon D7000 and i quite satisfied. Great review Brendan! I use the constant f3.5 version of this lens and I have to say I’m really happy with the results. I mainly shoot landscapes/travel so it is hardly ever off my Nikon D7200. The only time I have felt an advantage of the variable f4 – 5.6 version was doing some astrophotography last year but that was only once in the 3 years I have had the lens. Overall, for the price, it’s great. Also, I totally agree about the distortion at the edges, but as you say, not unexpected!